Gone are the days where it's very pricey and bird's nest are a luxury only the select few can get to enjoy. 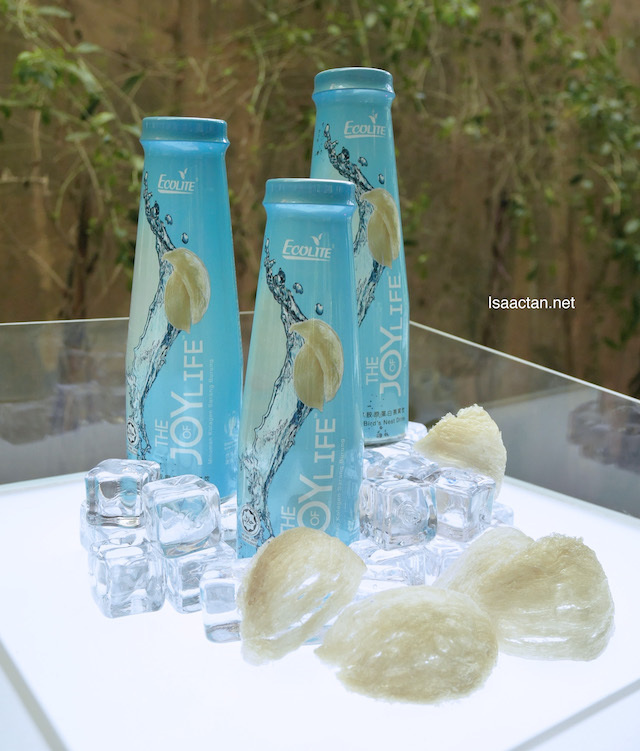 I was at the launch of the new Halal-certified brand new range of Collagen Bird's Nest Beverages, 'The Joy Of Life' by Ecolite Biotech Manufacturing Sdn Bhd. recently over at The Glasshouse @ Seputeh. Check out the products and activities that happened that morning below. The consumption of edible bird's nest has been proven to have various health benefits including stimulating the regeneration of cells, strengthening our immune system and respiratory system as well as improving the performance of our internal organs. That's discounting the big impact it has on our beauty, rejuvenating cells, promoting smooth, radiant and youthful skin. 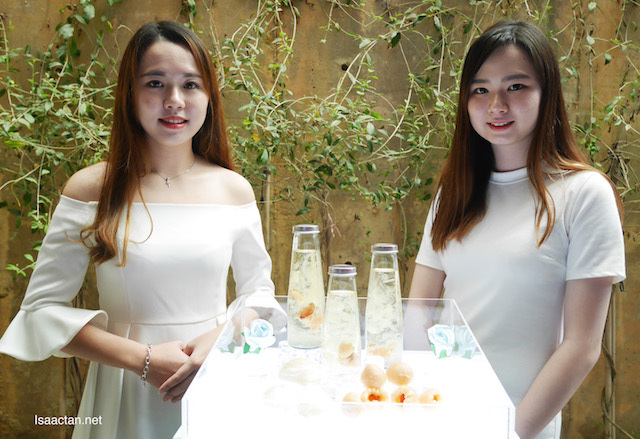 Yes, it is Halal-certified, the new line of beverage combines the powerful health benefits of bird's nest with the proven beauty benefits of Marine Fish Collagen. 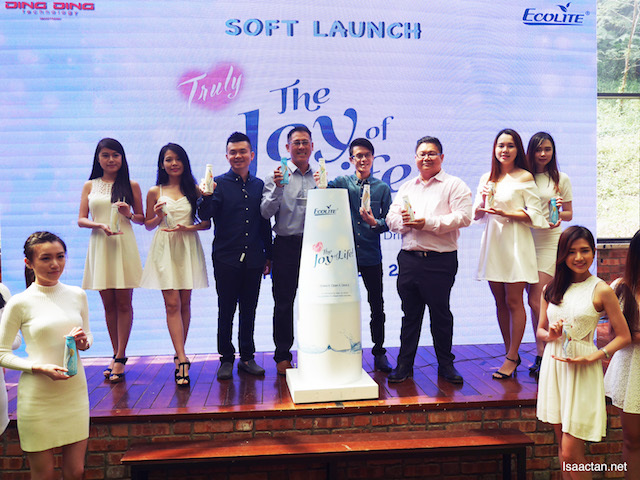 This collagen stimulates the collagen production in our bodies and combats signs of aging, pioneering a new beverage category that fulfils the wellness and beauty needs of Malaysian consumers. 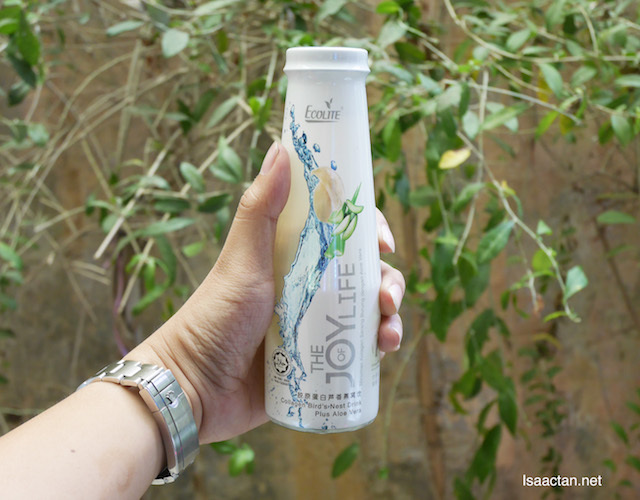 Collagen and bird's nest in one easy to drink beverage bottle? Why not? And it's officially launched in Malaysia! 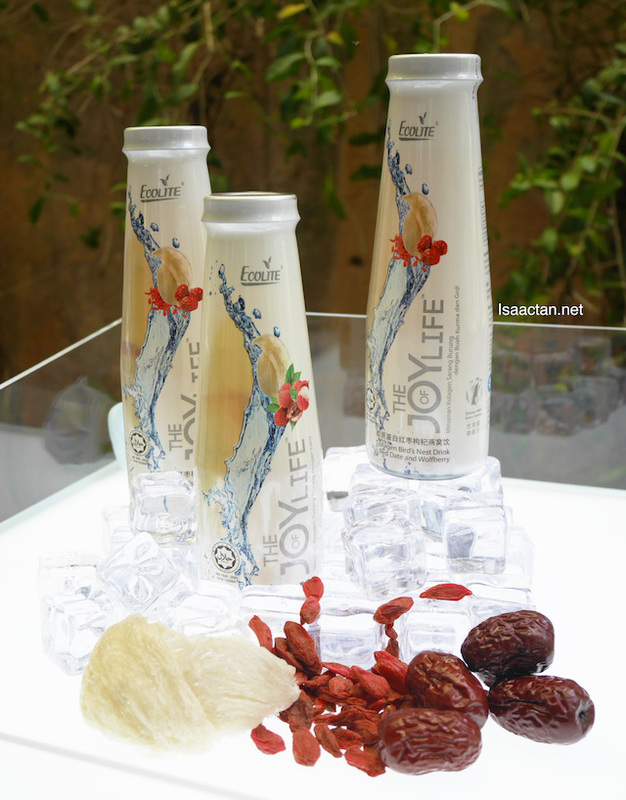 'The Joy Of Life' contains all-natural food contents, including edible Bird's Nest, Marine Fish Collagen, Rock Sugar and RO Water, making it not only a very nutritious drink, but it's very safe as well. I personally gave it a try at the event, and I must say, it went down so smoothly, sweet with various flavours depending on the ingredients added. More information on the various products will be elaborated further on in this post. Free of preservatives, artificial flavourings, colours, and artificial sweeteners. 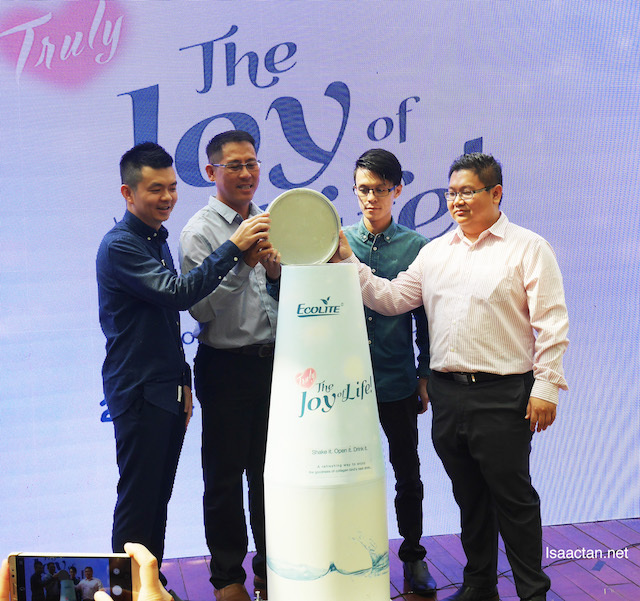 Speaking at the launch event, Mr Steve Lim, Sales and Marketing Director of Ecolite said, "For the past decade, we have dedicated ourselves to doing what we do best - providing quality, natural healthcare products to improve the health and wellbeing of our customers"
"We have gone to great lengths to ensure that our products are free of preservatives, artificial flavourings and colours, as well as artificial sweeteners. 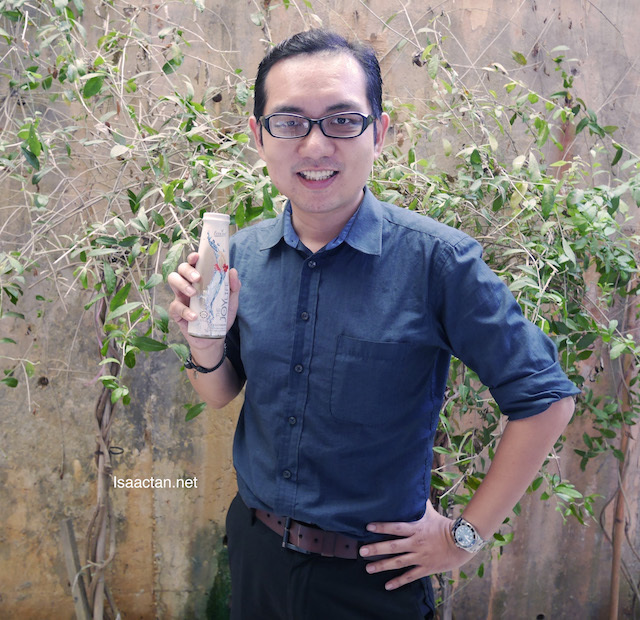 Our products contain natural ingredients that add flavour and personality, providing variety for our consumers," added Mr Lim. Free of preservatives, artificial flavourings and colours, as well as artificial sweeteners. As the only integrated bird's nest producer and and manufacturer in Malaysia and a leading player in the market, Ecolite houses, harvests and manufactures its own line of bird's nest product. This ensures the product has undergone a full quality control every step of the way. I love how its packaged too, in a clean looking bottle, looking rather premium with that "korean drink" look thing going. 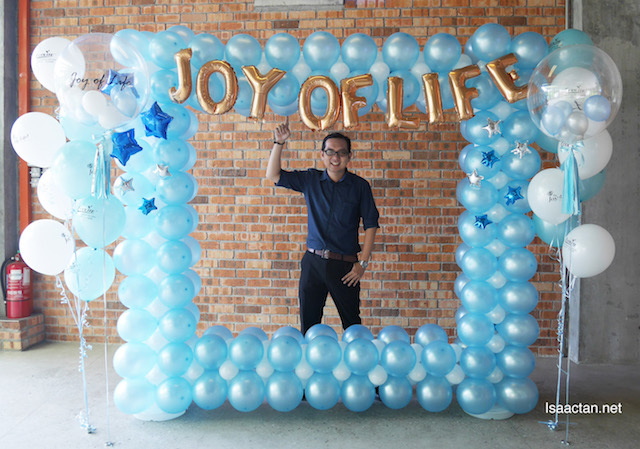 The new line of 'The Joy Of Life' features five different types of flavours, including Aloe Vera, Lychee, Longan, Red Date with Wolfberry and the Original flavour. This should cater to all Malaysian taste buds in both its flavour and presentation. 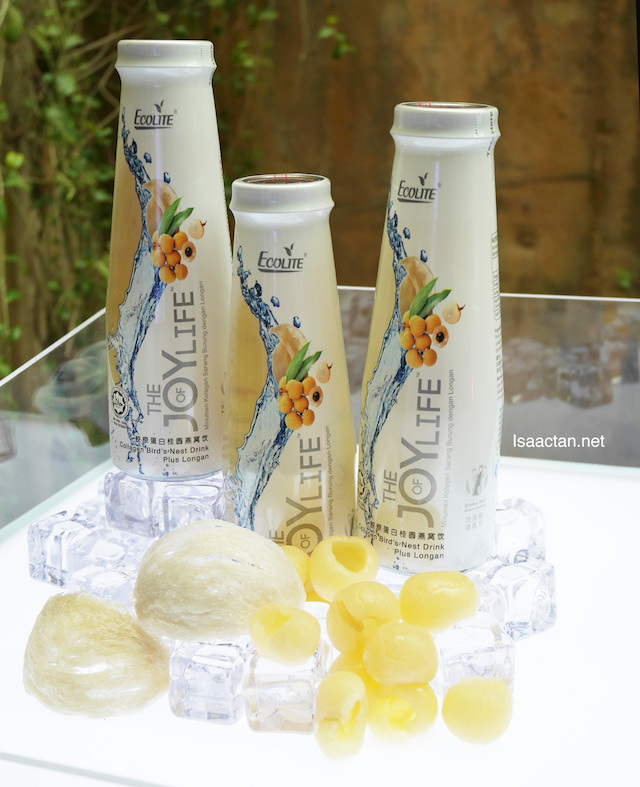 Each bottle contains 2500mg of Collagen and comes in a stylish, transparent packaging with a vacuum safety button. It's an ideal grab-and-go beverage for consumers to indulge in to refresh themselves throughout the day. I was told its very affordably priced too, at only RM6.50 each!